I love a loaf. Even more so when it is so easy and quick to make. 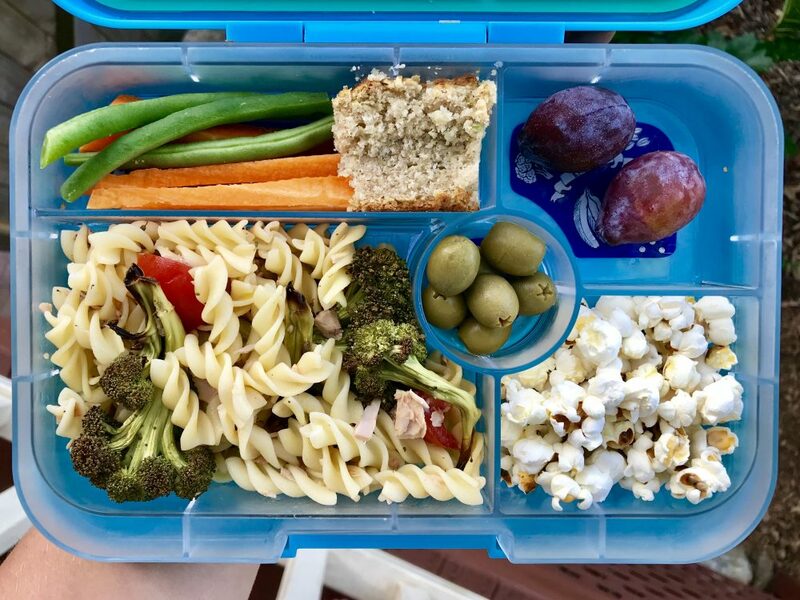 Get the kids to make it on a Sunday for lunchboxes. Little ones might need a bit of help grating zucchini. Or if you use butter, they might need help melting it if it is hardened by the cooling air of Autumn. Mix altogether with a spoon or fork and bake in a 180 degree preheated oven for around 30-40 minutes. Make sure you check if it is cooked in the middle with a skewer as it is quite dense loaf and doesn’t “spring” back like regular cakes or muffins. The Zucchini and Banana loaf is delish. But let’s talk about hiding vegetables, a note on adding zucchini. I never recommend hiding veggies . Sure, I grate veggies and sauces etc but I talk about them as well. Hiding is the complete opposite of building trust with kids and food. In the same vain , my 6 year old asked me what the bits were in this loaf. And I told her. She doesn’t really eat zucchini in savoury dishes but even after I told her, she still gobbled the piece up. The idea is that this time she realised it didn’t taste that bad. Perhaps after more exposure she will eat it in a savoury dish. But it does take time and does take exposure time and time again.